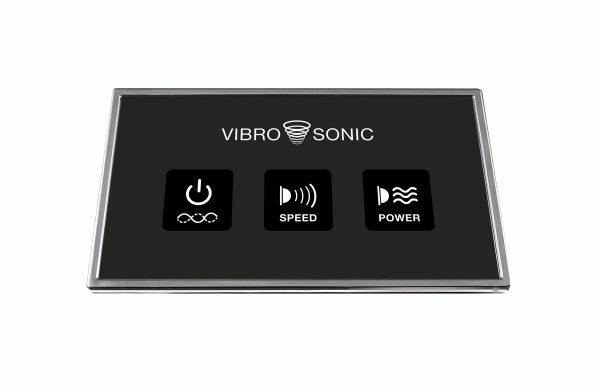 Watertech’s new Vibro Sonic Foot Massage System was developed to provide a shiatsu massage for the feet in any whirlpool, air, walk-in tub, soaking bath or combination bath. The system includes 2 Vibro Sonic pads each with its own electro magnetic motor. The pads are 3” in diameter with a silicone massager that protrudes from the center of each pad. The silicone massager softly compresses against the foot when the pad is turned on to massage the bottom of the foot from toes to heel. 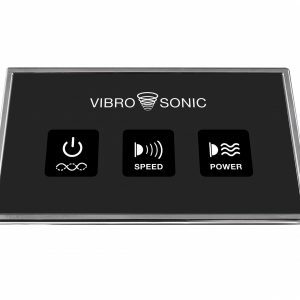 The Vibro Sonic System when combined with hot water is helpful to those who experience high blood pressure, poor circulation and foot discomfort. The system also includes, a 120-volt control center that plugs into a standard GFCI receptacle and an electronic keypad that turns the system on/off, provides 3 levels of vibration speed and pulsating intensity. 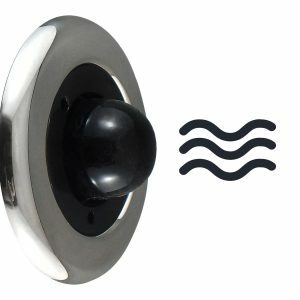 Installation of the entire system is included in price.